Saturday evening at Losail was carnage. In just over one hour, between 7.26pm and 8.38pm, there were eight crashes in MotoGP’s FP4, Q1 and Q2 sessions, all of them on left-handers and all but one at Turn Two, the treacherous 80mph sweeper where the left side of the tyres get used for the first time in more than half a minute. Álex Rins was first to fall there, then Bradley Smith, Johann Zarco, Jorge Lorenzo, Tito Rabat and Zarco again. 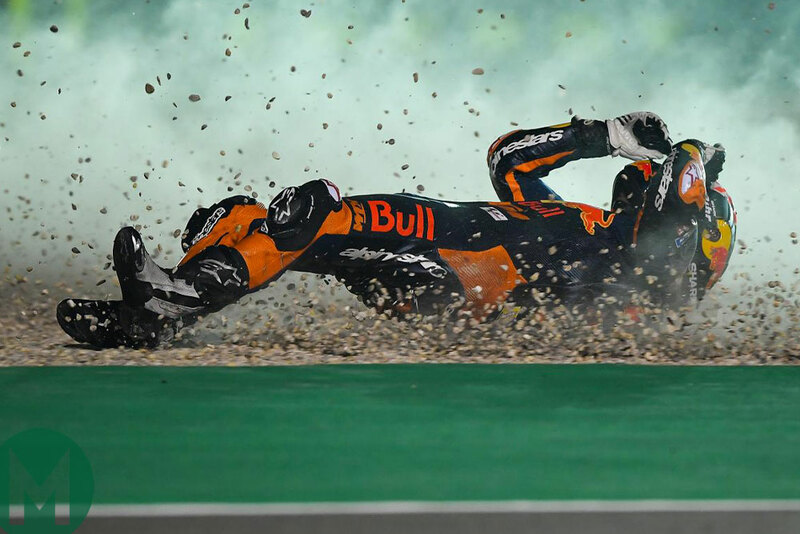 Meanwhile Marc Márquez slid off at the slower Turn Six left. 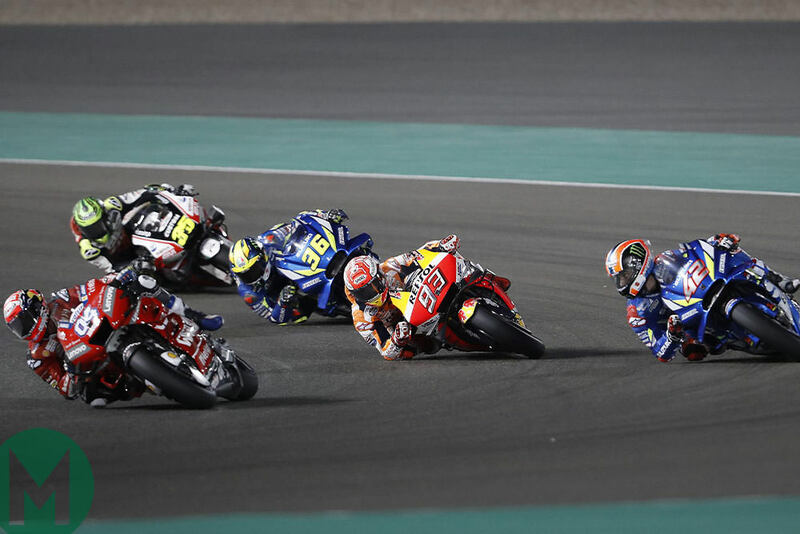 The problem was low track temperature and dew forming on the asphalt, which is why the riders had met on Friday to demand the race be brought forward from 8pm to 7pm. Usually, Dorna don’t overrule the riders on matters of safety, but this time money and royalty talked: the race would start at 8pm. During Q2 track temperature was just 16deg C, with humidity at 62 per cent. Luckily, Sunday was crucially warmer and drier: 19deg C and 52 per cent humidity. Only one rider crashed during the 42-minute race. 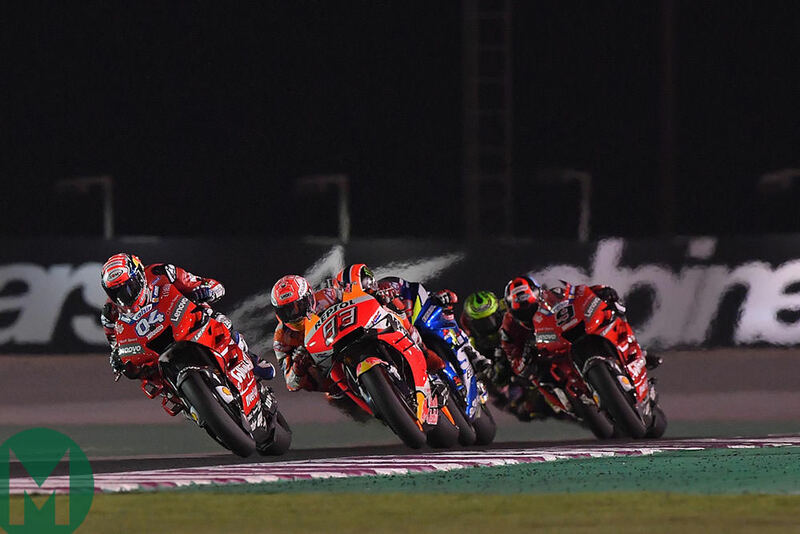 “This time we were lucky because the track was a bit warmer for the race and that helped everyone, but we can’t depend on luck,” said a battered and bruised Lorenzo. Last year the race started at 7pm, when track temperature was a much more reasonable 23deg C.
Nowhere seems to be Lorenzo’s land at the moment. The three-time MotoGP king has had a torrid time with injuries ever since he broke two toes during last September’s Aragón GP. Two weeks later in Thailand he broke his left arm in a crash caused by a technical fault. 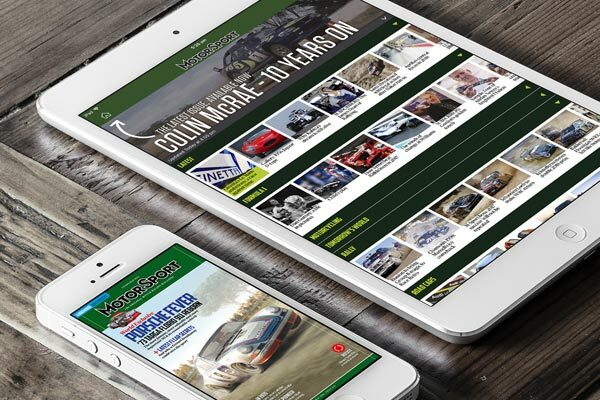 In January he broke his left scaphoid bone in a dirt-bike crash. And at Losail he broke a rib and damaged his right shoulder when he crashed on his out lap at the start of Saturday’s FP3 session. The teak-tough 31-year-old gritted his teeth for the race, coming home an unlucky 13th, after clutch slip had relegated him to 19th after two laps. It wasn’t the Repsol Honda debut he had hoped for. During the weekend Lorenzo continued focusing on ergonomics. The former 125cc and 250cc winner uses a high-precision riding technique that requires him to stay very static on the motorcycle. Hence the new seat material – natural rubber – he tried for the first time over the weekend. His crew also applied rubber pads to the rear of his RC213V’s fairing, to take some load off his still-healing wrist. Five-time Formula 1 world champion Lewis Hamilton dropped in at Losail on his way to the season-opening Australian GP. 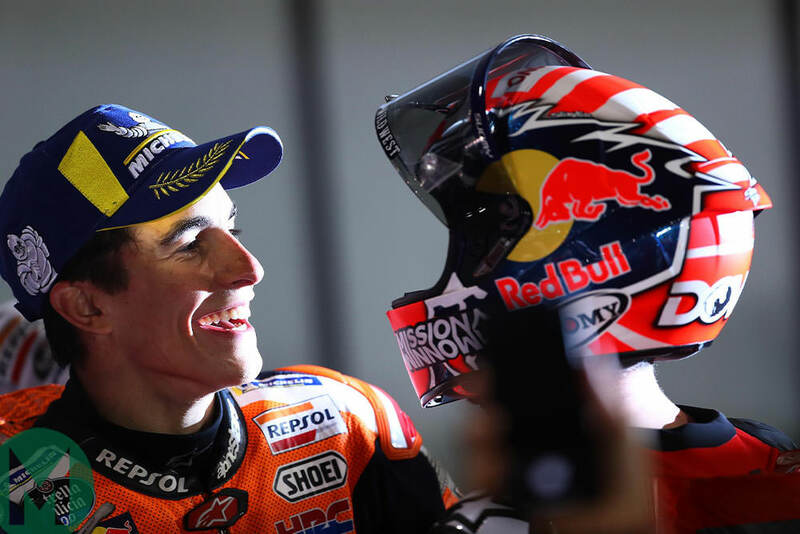 The 34-year-old Briton is mad keen on motorcycles, so this wasn’t his first visit to a MotoGP event and neither is he just a casual admirer. At the end of last year he spent two days at Jerez, riding with Yamaha World Superbike riders Alex Lowes and Michael van der Mark. Two years ago he spent a day riding with Crutchlow at a track in the USA. His next aim is to ride a MotoGP bike. 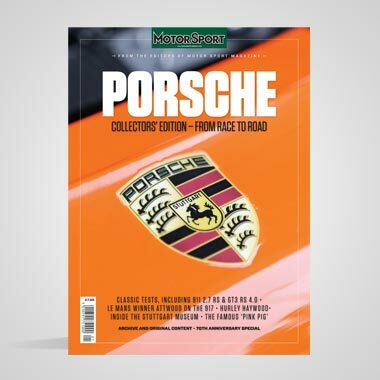 This won’t be difficult to fix up – once Mercedes has given its blessing – because both his F1 team and the new Sepang MotoGP team are sponsored by Malaysian petro-giant Petronas. 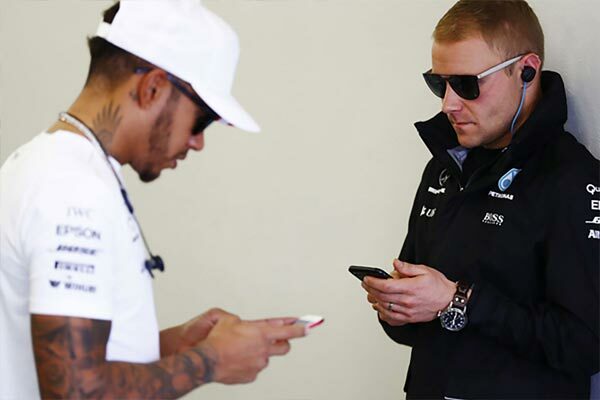 Hence Hamilton spent most of his time in the SIC Petronas Yamaha pit, with Franco Morbidelli and Fabio Quartararo. 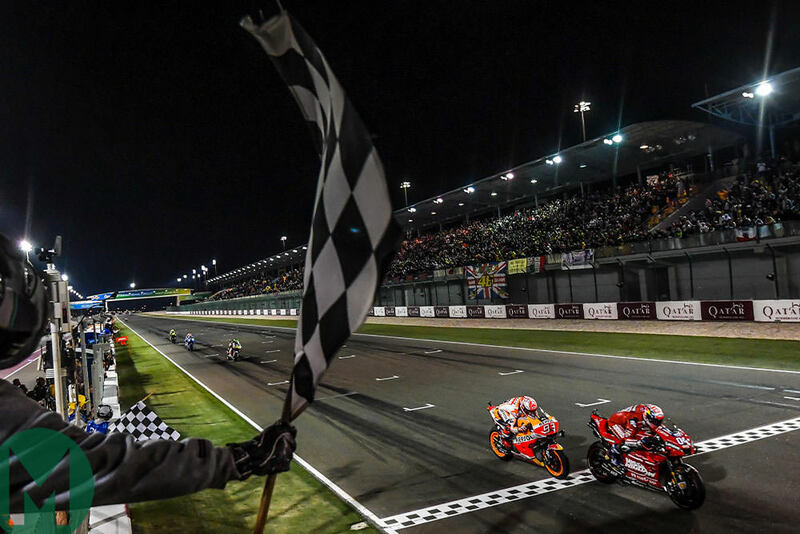 The Márquez versus Lorenzo showdown at Repsol Honda was billed as the story of the 2019 season. But it’s not happening just yet, because Lorenzo’s late 2018 and early 2019 injuries have handicapped both his ability to ride and his ability to get the RC213V right for his riding technique. 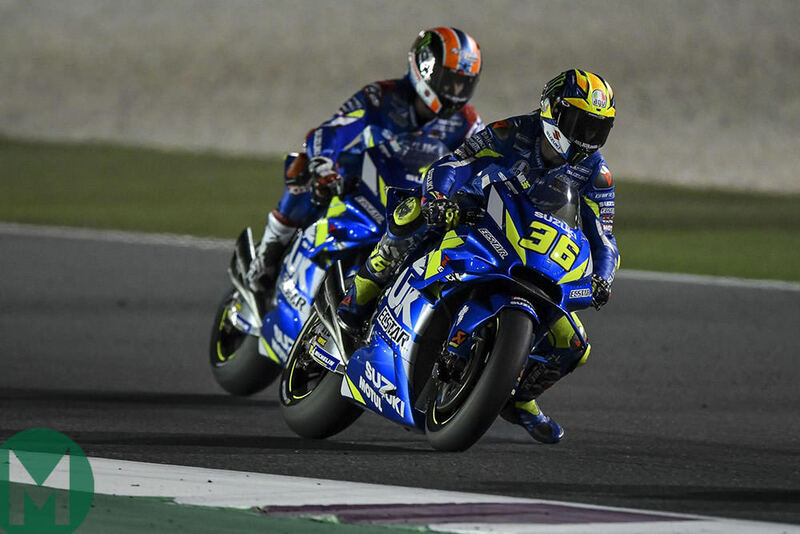 All we learned at Losail is that – surprise, surprise – both riders are taking very different directions on bike set-up. Most likely both riders will learn from each other, just like Lorenzo and Andrea Dovizioso at Ducati. HRC won’t reveal details, of course, but most likely Lorenzo runs softer suspension and gentler geometry than Márquez because he doesn’t load the bike in the same way. 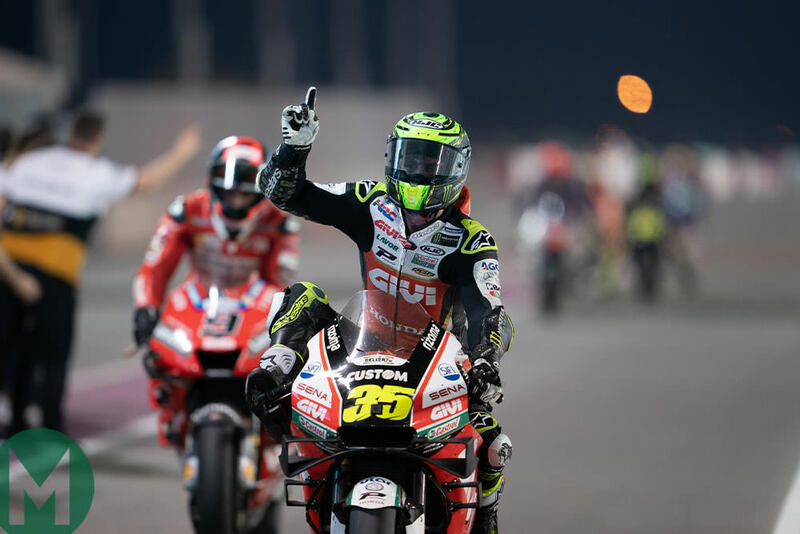 Fellow HRC rider Cal Crutchlow transformed his Qatar GP by changing the geometry on his RC213V. The Briton had a terrible time during preseason tests at Losail and struggled again in Friday’s FP1 session, still unable to find enough front-end feel to allow him to push towards the limit. KTM’s new recruit Johann Zarco was close to tears during his media debrief on Saturday night. It was easy to understand why: in the space of 25 minutes the Frenchman had suffered two rapid crashes at Turn Two, which left him 21st fastest out of 23 riders, a gaping 2.25sec off pole. Surely, joining MotoGP’s newest factory had been a bad move? Possibly not. Sunday’s race result told a very different story, because it proved that KTM had made a huge step forward since the previous March. Zarco ended the race 15.093sec behind winner Dovizioso, while Red Bull KTM team-mate Pol Espargaró was 12.774sec behind Dovizioso. Compare that to 2018, when the top KTM finished 31sec behind the winner. KTM has a long, long way to go, but the factory is working in the right direction. Triumph’s first-ever factory involvement in grand prix racing could hardly have gone better. 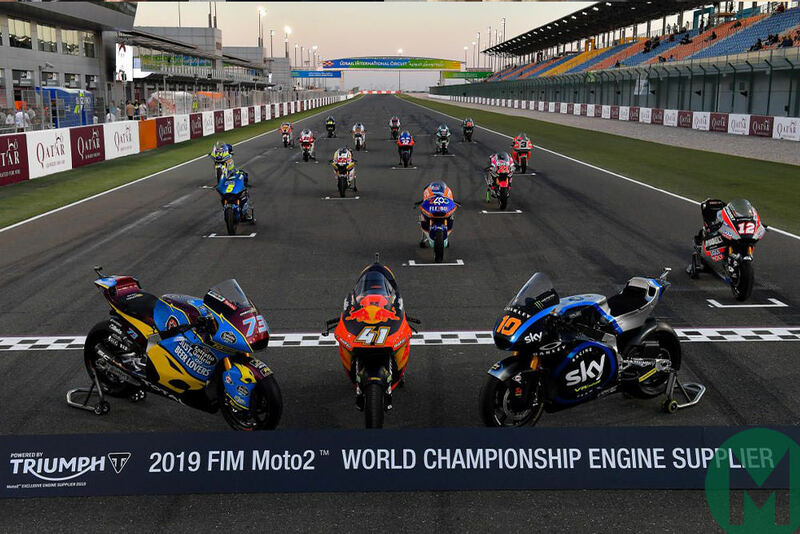 The new 765-powered Moto2 race was a thriller, with Lorenzo Baldassarri beating Tom Luthi by three-hundredths of a second, the top five covered by 2.3sec and with no engine problems. The extra power and torque of the 765cc triple also bettered the race record by 18sec. The category’s switch from the smaller Honda CBR600 engine to a bigger engine mirrors MotoGP’s shift from 800s to 1000s in 2012. When a rider doesn’t have much torque to play with he needs to use a lot of corner speed to get him out of the corner as fast as possible. And if he makes the tiniest of mistakes he will lose corner speed and his lap will be ruined. 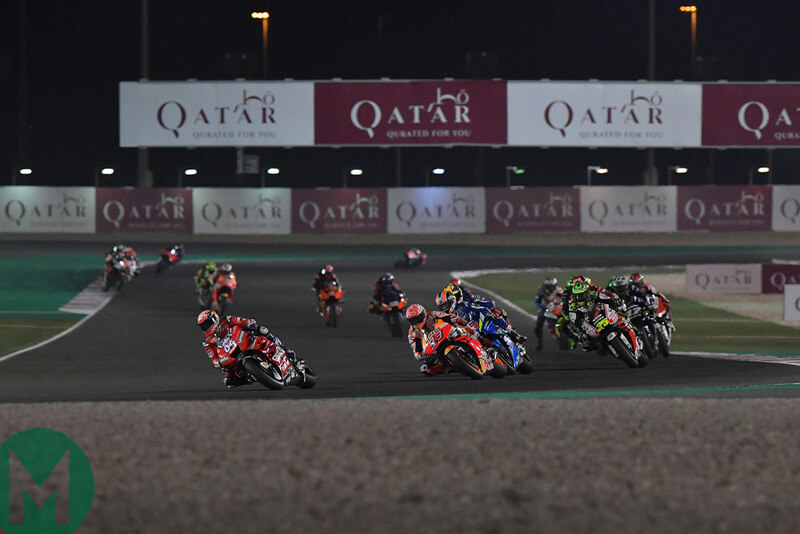 “With the 600 engine you couldn’t rely on the power to get you out of slow corners so you had run a Moto3-style line,” said Gresini Kalex Moto2 rider Sam Lowes, who finished sixth in Qatar, 3.3sec off the win. “The first thing I noticed with the 765 engine is that you’ve got so much more power off the bottom, so you’ve a much wider working range. You can stop-start the bike – go in slow mid-corner, stand the bike up and get out. 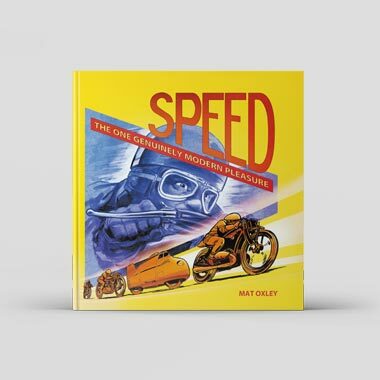 Or you can run corner speed and use a different gear, so the engine will make the racing more fun for the riders and it makes the battling closer and better, because different riders can work in different ways. Kalex, winners of every Moto2 riders’ and constructors’ title since 2012, monopolised the top 10 at Losail. “The first time I tested the bike at Jerez at the end of last year we were 6mph (10km/h) slower the fast corners,” added Lowes. Lowes is more delighted than most that Moto2 now has electronic rider controls: basic TC, engine-braking and anti-wheelie programmes. Teams can’t make their own maps, they simply have 20 settings in each programme, with the rider getting a choice of three settings on the left handlebar. 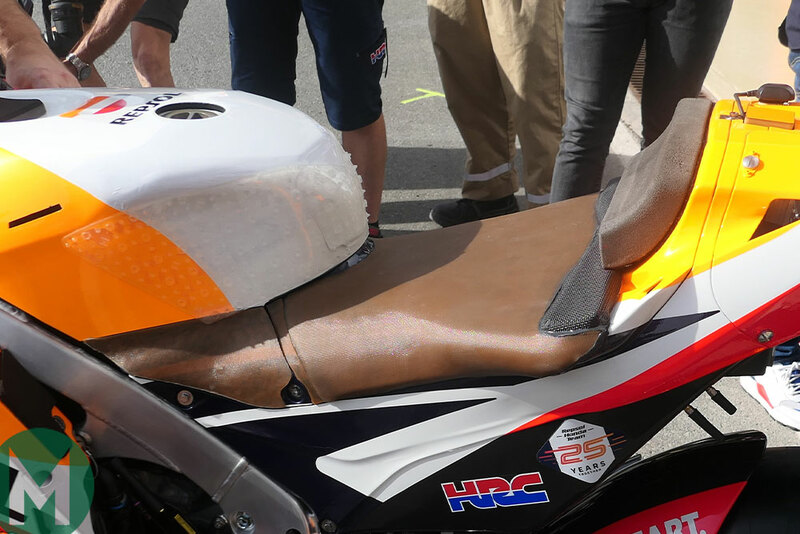 Moto2 should get even faster starting at Jerez, when Dunlop introduce a bigger profile rear slick designed to cope with the 765’s extra torque. They are currently using the same tyres they used last year. Triumph never entered a GP team even at the height of its powers in the 1950s and 1960s, because company bosses said racing was a waste of money. The brand’s best GP result was second place to Giacomo Agostini’s MV Agusta triple in the 1969 500cc at Spa-Francorchamps. The rider was factory road tester Percy Tait and the bike was a T100 twin street bike, developed by Tait and legendary engineer Doug Hele. Tait, Hele and a few others worked on the project in their spare time, keeping the whole thing hidden from management. “It was all done in secret in a half-disused machine shed behind the Experimental shop,” said Tait. 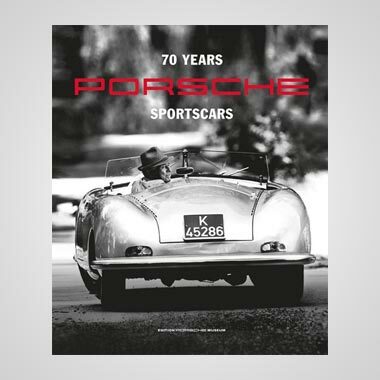 “There was never an official policy to go grand prix racing,” said engineer Norman Hyde, who worked with Hele and Tait. 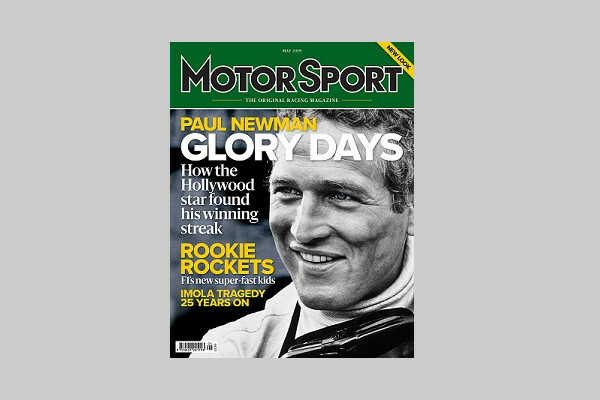 “But Doug had come from Norton where he had worked under Joe Craig, so he was always mega-keen on racing. In 1969 Tait contested several GPs, turning up at events in Triumph Experimental Department’s tatty Ford Transit, then racing home on Sunday nights to be back at work on Monday mornings.